The passenger compartment of the fortwo remained stable in the frontal impact. Dummy readings indicated good protection of the knees and femurs of both the driver and passenger. smart showed that a similar level of protection would be provided to occupants of different sizes and to those sat in different positions. In the side barrier test, protection of all body regions was good apart from the chest, protection of which was adequate. However, in the side pole test, dummy readings of rib compression revealed weak protection against chest injury. Euro NCAP observed also that the pole impactor came extremely close to striking the dummy's head. 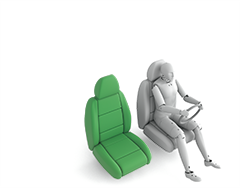 While the dummy readings did not indicate a head impact in this test, Euro NCAP has concerns over the robustness of protection provided by the current seat-mounted head/thorax airbag. Daimler have developed an optimised solution which will be introduced into production at the end of March 2015. The seats and head restraints provided good protection against whiplash injury in the event of a rear-end collision. As the fortwo is a two-seater, no dynamic tests were performed and the rating is based on the ease with which different restraints can be accommodated and on the provisions made in the vehicle for safe transportation of children. All of the child restraints which Euro NCAP uses to represent the broad range of types available could be properly installed and accommodated in the car. The passenger airbag can be disabled to allow a rearward-facing child restraint to be used in that seating position. Clear information is provided to the driver regarding the status of the airbag and the system was rewarded. The bumper provided good protection to pedestrians' legs and scored maximum points. However, the protection offered to a pedestrian's pelvis by the front edge of the bonnet was predominantly poor. The bonnet surface offered predominantly marginal or weak levels of protection to a pedestrian's head, and poor results were recorded on the stiff windscreen pillars. The fortwo has electronic stability control as standard equipment, together with a seatbelt reminder covering both seats. A driver-set speed limiter is available as an option and is expected to be fitted to most cars sold so was included in the assessment and met Euro NCAP's requirements for systems of this type. A lane departure warning system is also an option but it is expected that most cars will not be fitted with it so it was excluded from the assessment. An autonomous emergency braking system is not available on the fortwo. 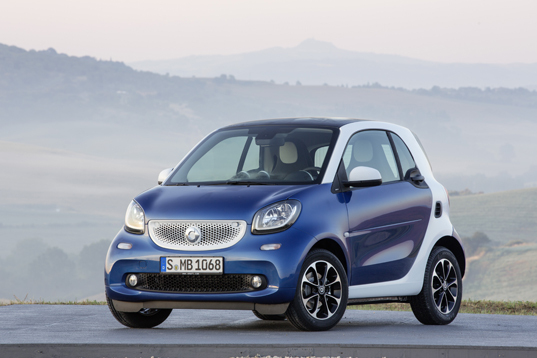 Additional tests demonstrate that the 2014 star rating applies also to the electric 'ed' variant of the smart fortwo.